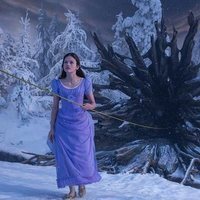 In 'The Nutcracker and the Four Kingdoms' all Clara wants (Mackenzie Foy) is a unique key that opens a box whose content is a priceless gift that belonged to her deceased mother. A golden thread, offered during the annual party of Drosselmeyer (Morgan Freeman), leads him to the coveted key, something that makes him disappear in a strange and mysterious parallel world. There you will find a soldier named Phillip (Jayden Fowora-Knight), a gang of mice and the rulers who preside over three Kingdoms: the Land of Snowflakes, the Land of Flowers and the Land of Sweets. 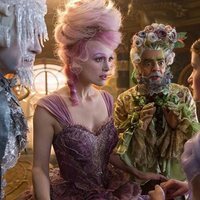 Clara and Phillip must challenge the terrible Fourth Kingdom where the tyrant Mother Ginger (Helen Mirren) lives, to recover the key and, hopefully, restore harmony in an unstable world. 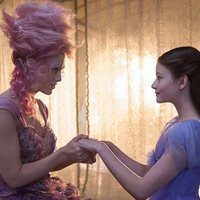 Write your own 'The Nutcracker and the Four Realms' review. The film is recorded on a 65 mm Kodak. This is the third collaboration between Keira Knightley and Matthew MacFadyen from 'Pride and Prejudice' and 'Anna Karenina'. 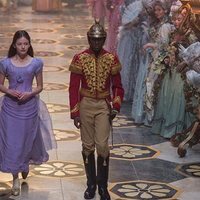 The story of the film is based on the famous ballet that composed Tchaikovsky, which in turn is based on the version made by Alexander Dumas of the story 'The Nutcracker and the Mouse King', written by Ernst Theodor Amadeus Hoffmann.